The roof is one of the features that is primarily noticed on the outside. Aside from the architectural design of your home, it has a big impact on the overall look of your humble abode. 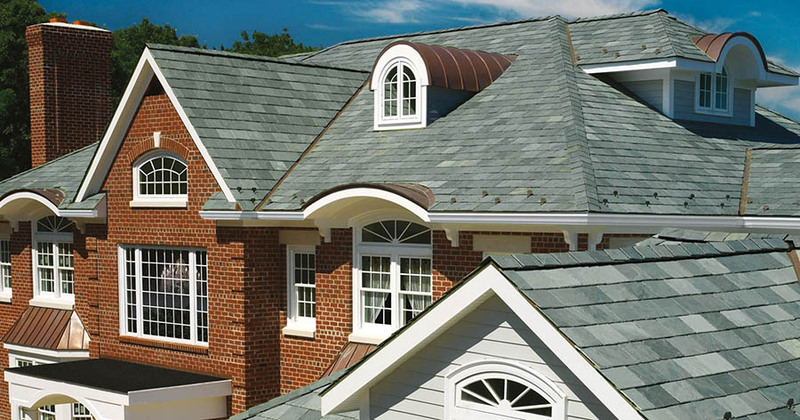 In choosing a roof, of course, one must consider durability and quality. Did you know that apart from these two characteristics, the colour of the roof should also be taken into consideration? How would you know if you are choosing the right roof colour? In this article, you can read about good points to consider when choosing the colour of your roof. Bear in mind the kind of climate you have. The roof is your ultimate protection from harsh weather conditions. Choosing a roof based on the kind of climate you have in your place is a very smart idea. Your roof colour can affect the temperature of your house. Having a lighter coloured roof keeps away heat. It helps to make your home a lot cooler. On the other hand, dark coloured roof absorbs heat, and it can help to make your home a lot warmer in the cold weather. Your roof colour must match the overall materials you have in your home. The paint of your house, the bricks you have used, the stone or even the stucco you have chosen must match the colour of your roof. As a standard, dark grey or black roofs work well with a grey, white or blue house. If your r house bears a touch of brown, you can use either a brown or a cream colour for the roof. The general look of your roof must bring out the best appearance of your home instead and not otherwise. As a matter of fact, dark colours can make your home look smaller than what lighter colours do. The latter make homes look bigger. The overall value of your house can be determined by the roof colour. If you want your house to be perceived as stylish even after a couple of years had passed already, choose a roof colour that you would not regret. Neutral colours are safer than loud colours – these are the colours tan, cream, brown, black and grey. Choosing the right roof colour can even increase the value of your house should you decide to sell it in the future. To know if you are making the right decisions, you can even contact a roofing company to guide you with your choices. Check with your neighbourhood rulings if you are not violating any. The goal is to come up with a well-thought-out and stylish home that all of the pieces and materials you put together create balance and harmony. It is best to choose carefully the colour of your roof since you have to stick with it for theyears to come.